When Red Apple Reading unveiled a special promotion beginning in late November 2012 through January of this year, the goal was to help educators gain access to their innovative program, which helps young readers gain vital literacy skills through an engaging, interactive program. The offer allowed teachers access to a 12-month program valued at $500 with premium access at a significantly reduced rate. The result? Red Apple Reading founder Tammy Bennecke will be the first to say she was more than pleasantly surprised. Bennecke has no plans to slow the pick-up rate of her program, which she designed after her years in the field of education. Red Apple Reading was specially crafted to meet the specific needs of struggling young readers, teaching vital reading skills before students fall behind their peers. Her interactive program helps youngsters gain vital literacy skills while playing engaging games with fun characters who cheer on successes, and with a pace that matches each user’s speed. In addition, progress reports help both parents and instructors see the child’s achievements firsthand. Now, Bennecke is building on the success of her promotion in a number of key ways. First, she plans to improve educator access, not only through improving access capabilities, but also through an exciting new way to access Red Apple Reading. This spring, a new account set-up for the program will allow schools to purchase an account that allows numerous students (and their teachers) to be added to the program (Bennecke’s current plans allow for upwards of 500 students to be able to access the program through this one initiative). Students will be able to access the group account from any device with Internet access—allowing them to work through the program’s individualized levels at school, home, or on the go. The unveiling of school access accounts comes in addition to current ways of accessing the program, Bennecke notes, including single-educator accounts for one classroom and parent accounts with access for up to three young readers. As Red Apple Reading looks to build on its successes in reaching more students than ever before, Red Apple Reading’s programming will also be getting a spring cleaning. Bennecke and her cohorts are in the process of revamping the pricing and registration process, with the goal of making new customer access easier than ever. apps. Red Apple Reading plans to expand into other subject areas as the company’s growth continues. 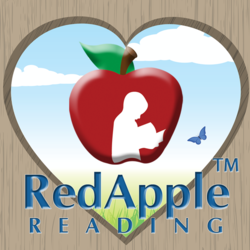 Find out more about Red Apple Reading at http://www.RedAppleReading.com.